Year of Women will host a series of nationwide experiences and participate in other Women’s events, facilitating an ongoing dialogue around female empowerment and the elevation of women in business, politics, and society. In the meanwhile, you may learn more about other women's events that are being hosted by organizations outside of Year of Women, that are working towards our common cause of further progress in empowering women and achieving gender equality. The three-day Women in the World Summit, held at New York City’s Lincoln Center, presents powerful new female role models whose personal stories illuminate the most pressing international issues. ICAN’s annual Women’s Leadership Conference is known to be powerful, insightful and authentic, representative of the leadership trends and transformations present in today’s workplace. 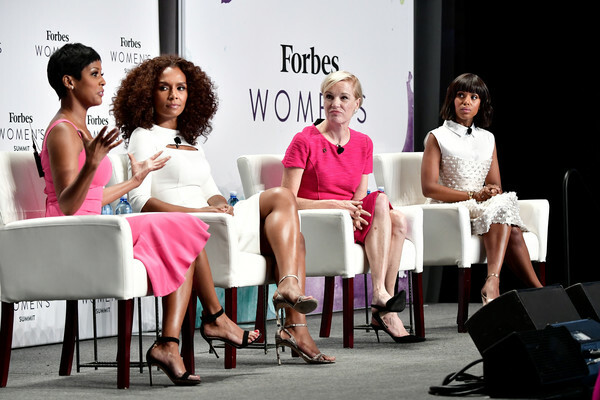 Forbes Women’s Summit celebrates the doers and the doing; a source of inspiration and support that connects and empowers women around the world, helping them to realize their potential and reach new heights. As the grassroots arm of the women’s movement, the National Organization for Women is dedicated to its multi-issue and multi-strategy approach to women’s rights, and is the largest organization of feminist grassroots activists in the United States. NOW has hundreds of chapters and hundreds of thousands of members and activists in all 50 states and the District of Columbia. Today, BlogHer events are the largest and most diverse celebration of female content creators, social media influencers, entrepreneurs, media makers and brand marketers. BlogHer is a member of the SheKnows Media family, a mission-driven women's media company and a top 5 women's lifestyle digital media company, with 70 million unique visitors per month. What began as a small conference in El Segundo has now grown into a movement of women coming together to support one another in pursuing their creative dreams, taking risks and making big waves in the world. All to further the greater good. A gathering of the nation’s most influential female entrepreneurs, dreamers and doers, world changers, and company builders. Join 500 entrepreneurial minded women for an invaluable day-long event where you will learn and be inspired by some of the most successful entrepreneurs around, share successes and struggles, and build relationships with fellow trailblazers. TEDWomen brings together a global community of people interested in exploring how change begins: with innovative thinkers who catalyze ideas toward action. Over the past few years, TEDWomen and TEDxWomen have launched some powerful ideas into the world. S.H.E. Summit is the renowned global leadership conference that takes place once-a-year to celebrate and accelerate the global advancement of women and gender equality. Founded by women’s leadership expert Claudia Chan, S.H.E. Summit convenes 50+ thought leaders and movement drivers of today’s most relevant women and societal issues on its global stage to inspire thousands of influencers to lead change in the world. 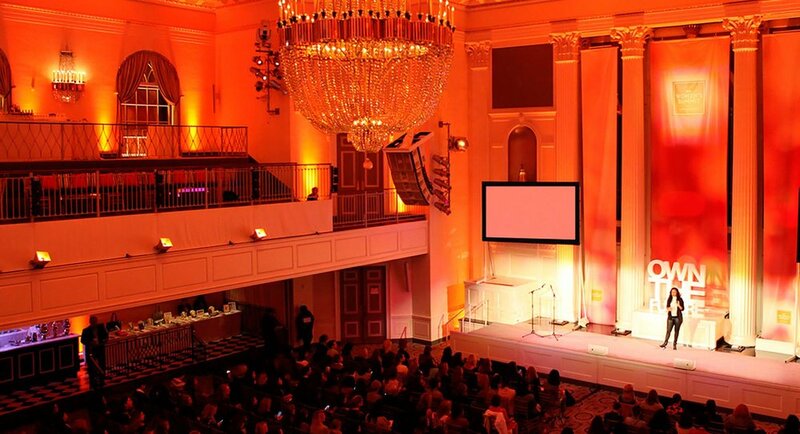 Started as a list, Fortune MPW has evolved into the world’s most extraordinary leadership community, convening the preeminent women in business—along with select leaders in government, philanthropy, education and the arts—for wide-ranging conversations that inspire and deliver practical advice. The program features one-on- one interviews, panel discussions, interactive breakout sessions and high-level networking.